New translations into English of Yiddish language materials including poetry, stories, essays, and archival materials of all kinds. Original Yiddish texts are presented in a standardized orthography and are fully searchable. 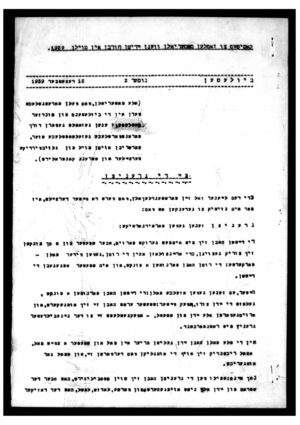 A bulletin produced by the Vilna Komitet in 1939, included in Miriam Schulz’s recent book, Der Beginn des Untergangs: Die Zerstörung der jüdischen Gemeinden in Polen und das Vermächtnis des Wilnaer Komitees (“Before the bow that was drawn”: The Vilna Komitet and its documentation of the destruction of Polish Jewry), presented here in a new translation.